Flickr has been one of the best places to find great photography for the better part of a decade, which makes it ancient by today's internet company standards. But I'm starting to wonder if it's getting a little long in the tooth. When was the last time Flickr came out with a new feature that really blew you away? 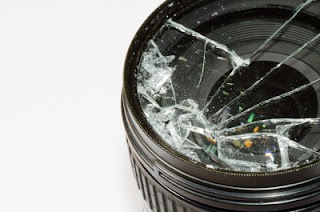 It seems like the only news coming out about Flickr is bad news. AllThingsD is reporting that Yahoo, Flickr's parent company, is preparing for another major round of layoffs that are "likely to number in the thousands." There's no word yet on if any of that will hit Flickr, but this follows shortly on the heels of the layoff's of Flickr's support staff back in January. It's never a good sign when the people who interface with the public get let go, because they're the people most often pushing for improvements based on the input they get from the public. According to Compete.com, Flickr traffic is down 18% since it's peak last summer. Where did everyone go? Google+ opened to the public in September, and apparently a large percent of photographers online are starting to call it home. Facebook has more images overall (though I would hesitate to call most of it 'photography'), and 500px is the new cool kid on the block.